Put your rental property portfolio in the hands of a first class local team of Gas Safe registered heating specialists and plumbing experts that work to the highest standards. Getting started is easy - drop us your contact details below and we'll be in touch to arrange a meeting. We are reliable, fast and excellent value. Our straightforward Landlord Cover Plans are designed to give you peace of mind and save you time and money. As a landlord, you face a barrage of regulatory change and the challenge of finding and keeping good tenants. The last thing you need is an unreliable heating system that repeatedly costs you money to keep going, causes inconvenience to your tenants, runs the risk of not being compliant with the law, and ultimately threatens rent payments. 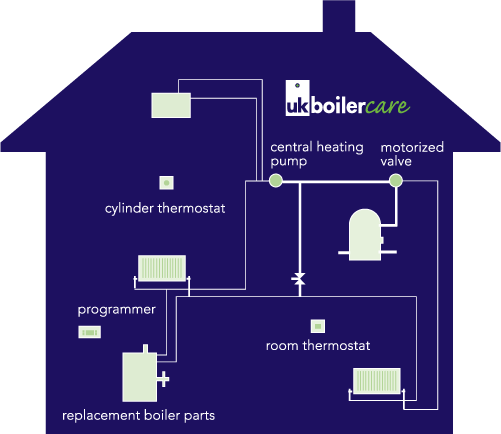 A UK Boiler Care Landlord Cover Plan ensures that your rental property heating system is kept in tip top condition at all times, costs you a predictable fixed maximum amount to service, maintain and repair, keeps your tenants happy, and is always compliant with the law. All of our engineers are full time company employees, we do not use subcontractors. Furthermore, our engineers are not paid any form of sales commission. Landlords can rest assured that they have professional team working at their property and will not face hidden or unnecessary charges . We have access to a national database of all appliances, parts and products so we can maintain the heating system in your rental property quickly and efficiently, reducing the impact of disruption to your tenants. Our simple Landlord Cover Plans deliver peace of mind and save you time and money. 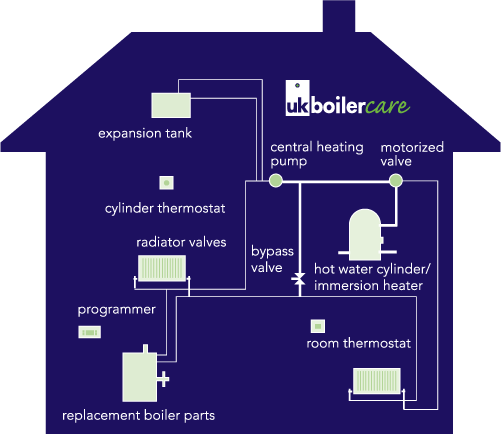 UK Boiler Care will ensure that the boiler and heating system in your rental property will operate smoothly and efficiently, cause the minimum amount of trouble and expense, keep tenants happy and meet the stringent safety standards demanded by the law. .